Another long driving day, and it’s starting to wear on Jill. 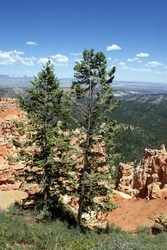 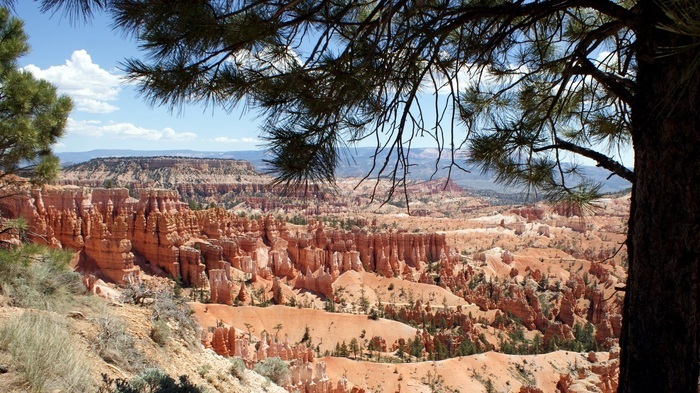 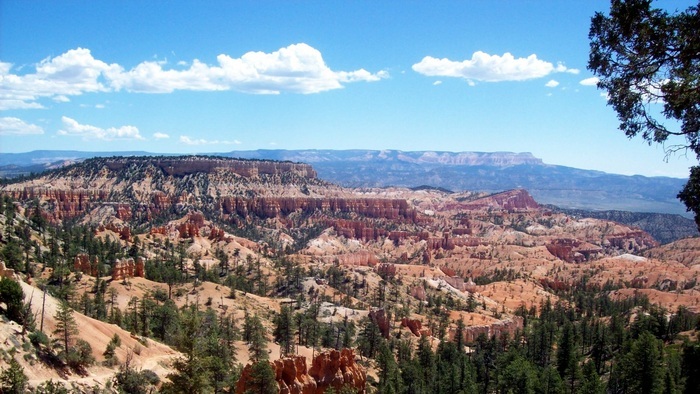 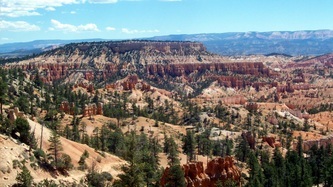 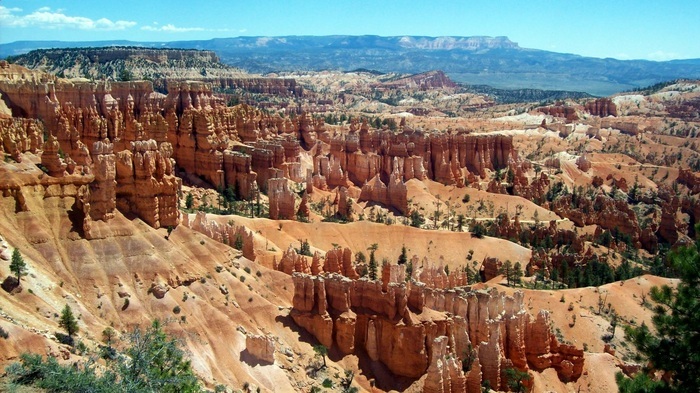 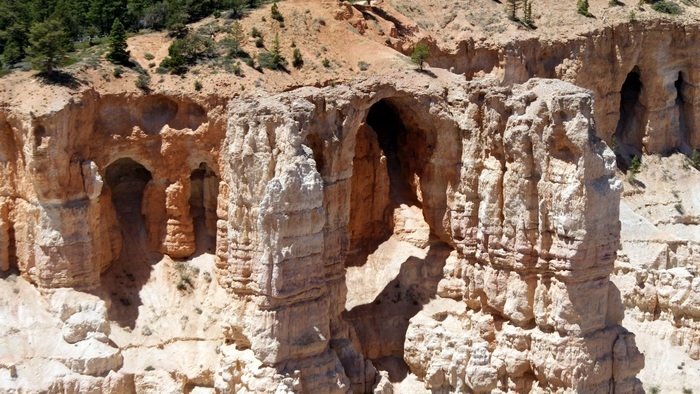 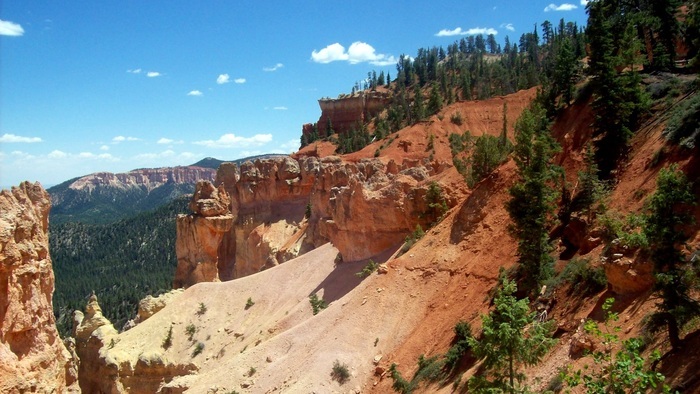 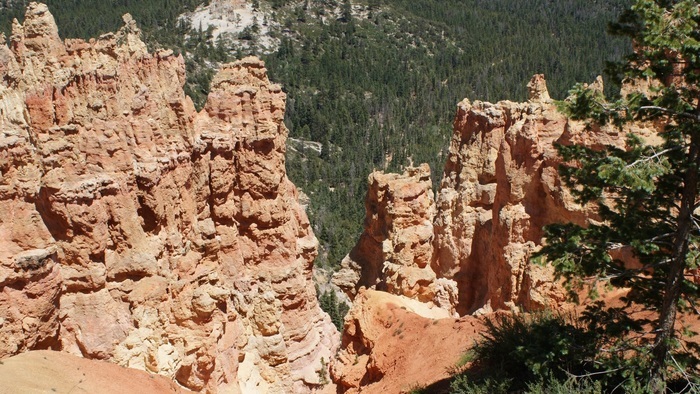 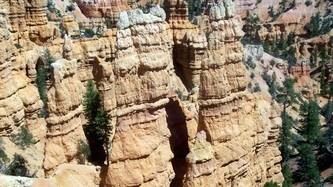 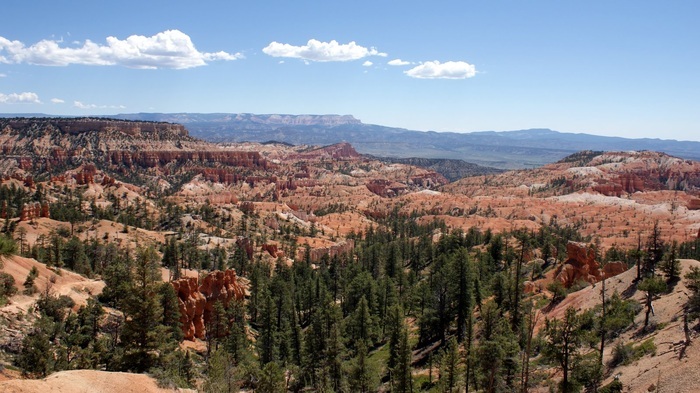 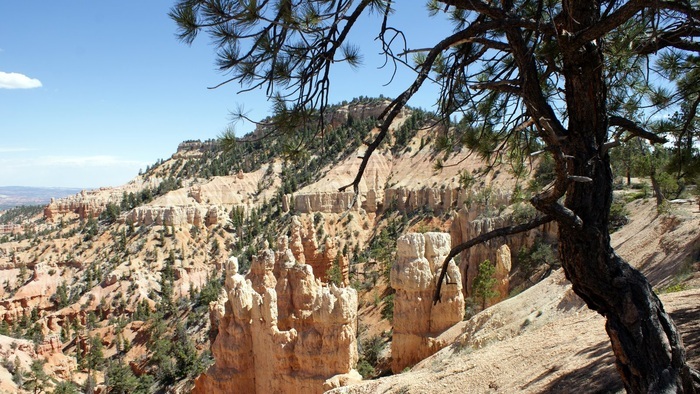 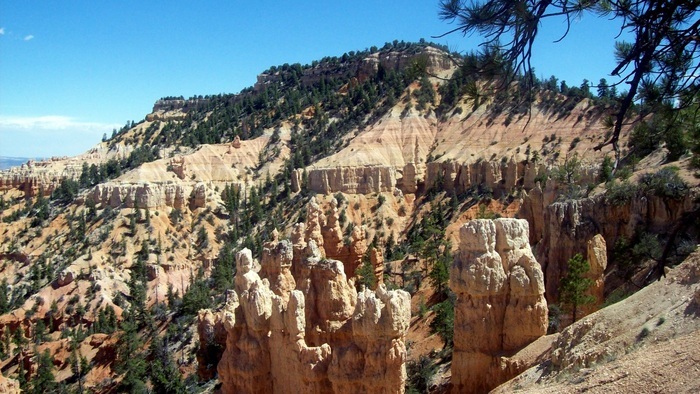 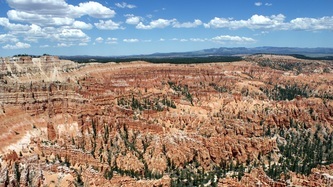 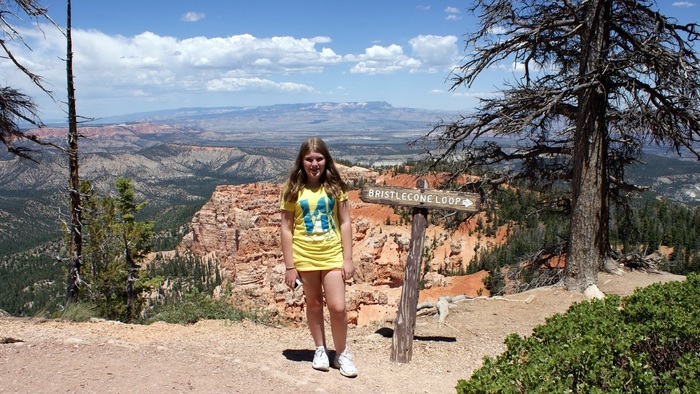 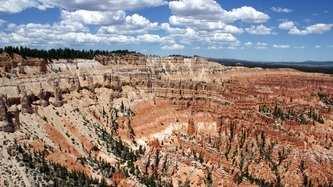 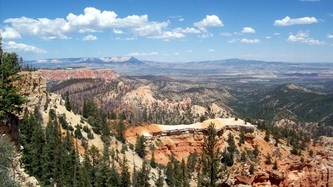 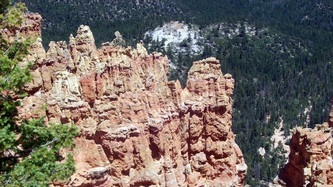 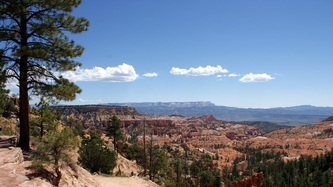 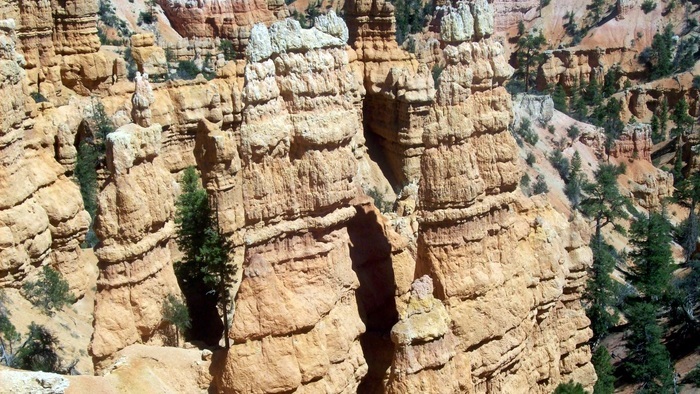 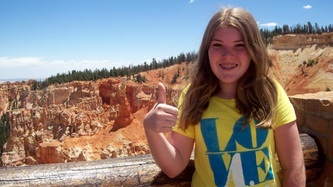 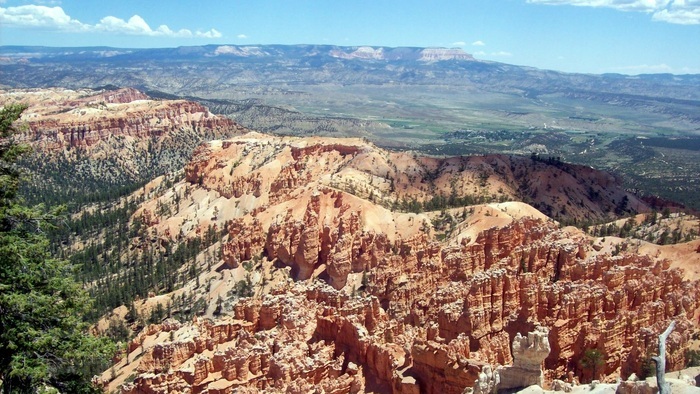 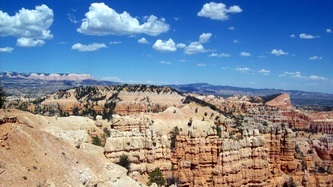 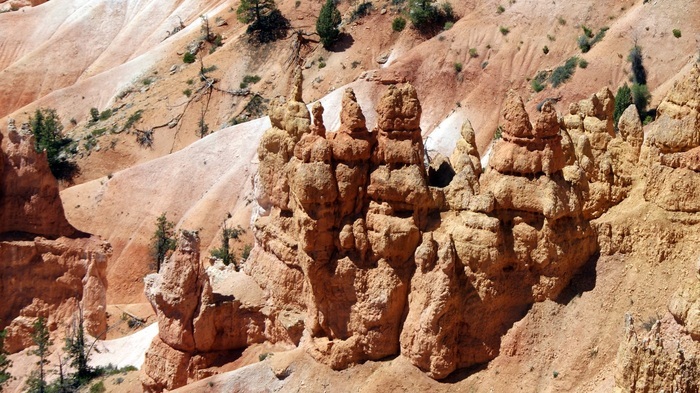 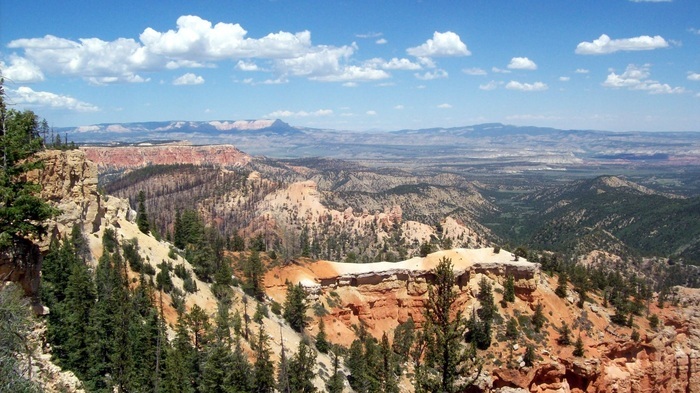 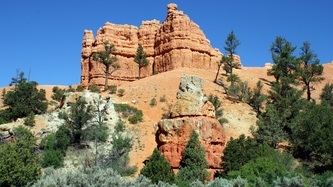 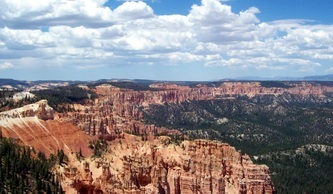 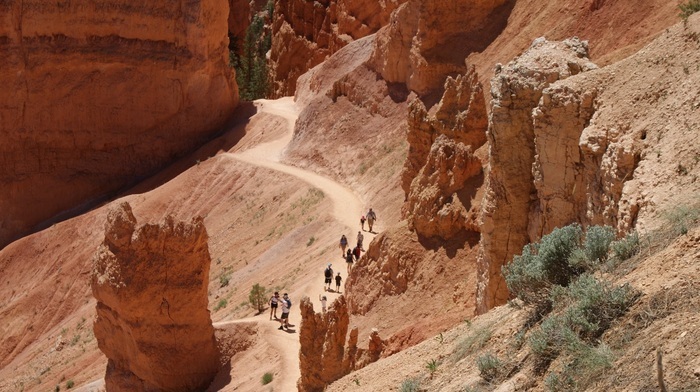 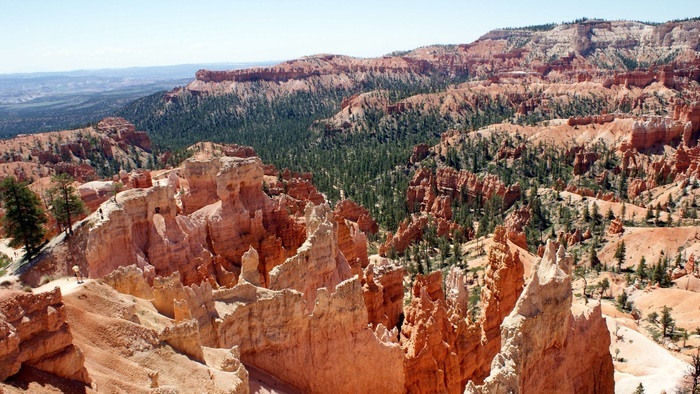 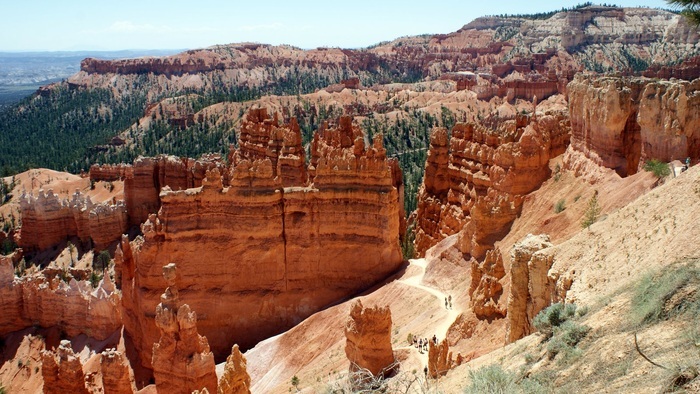 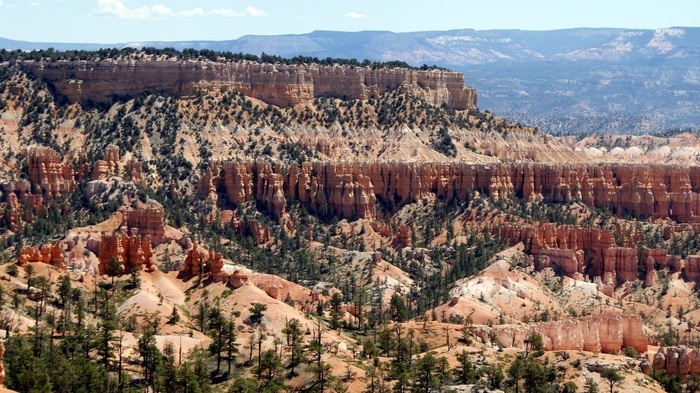 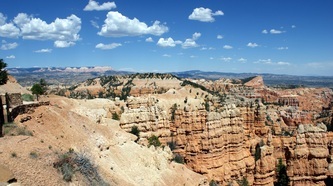 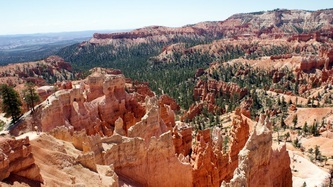 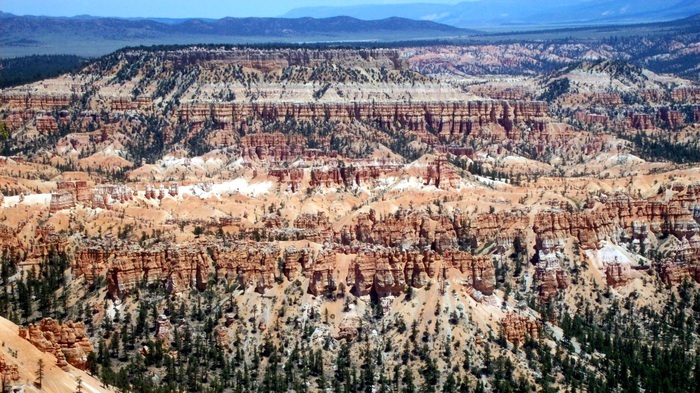 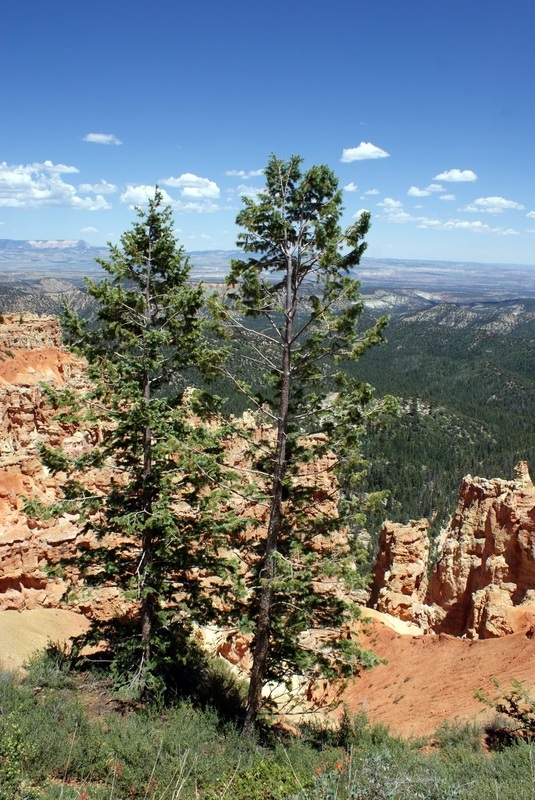 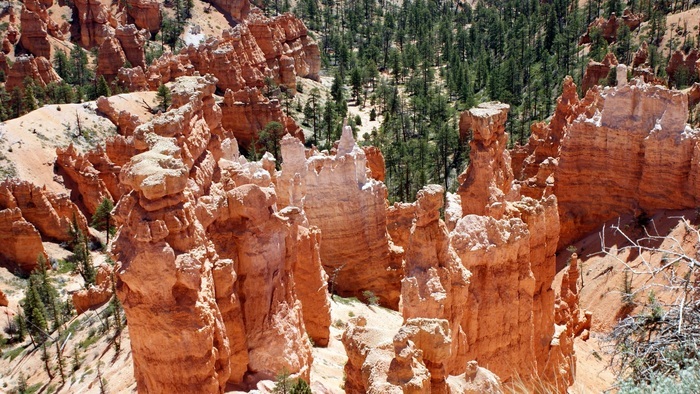 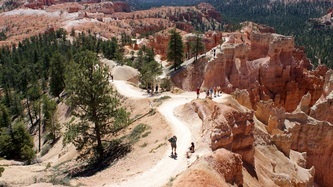 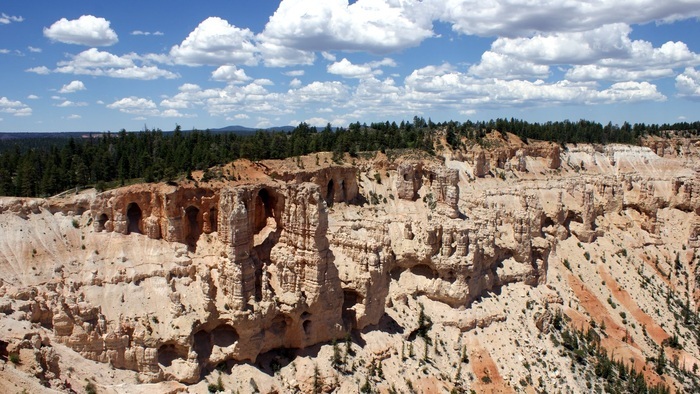 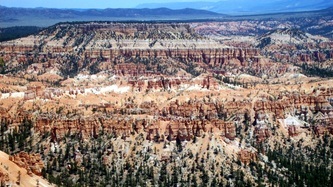 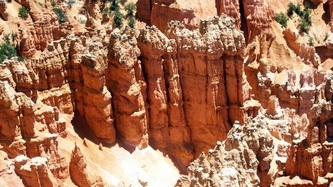 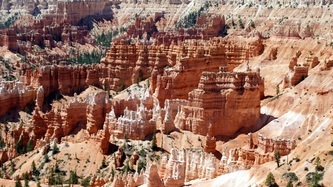 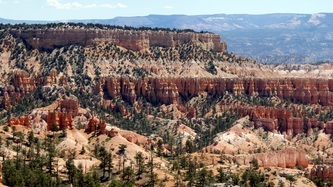 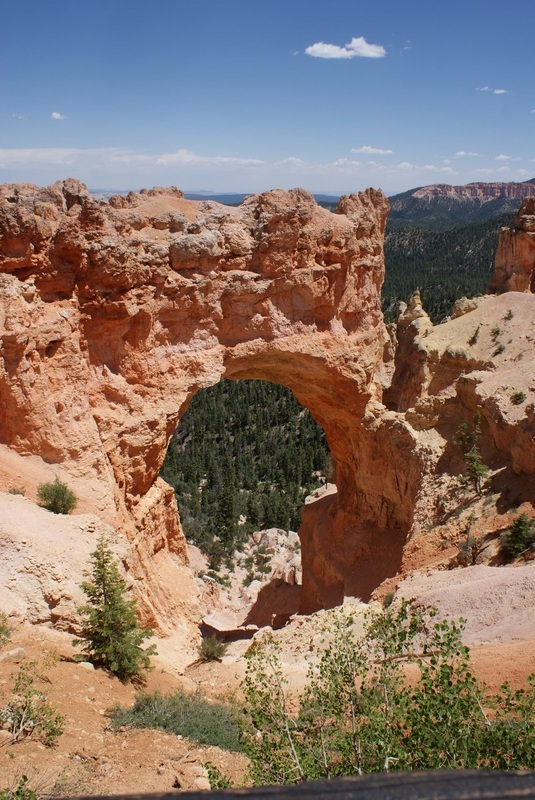 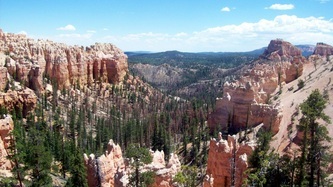 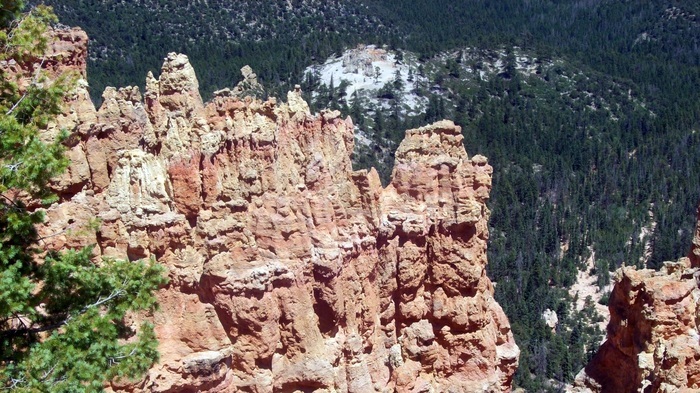 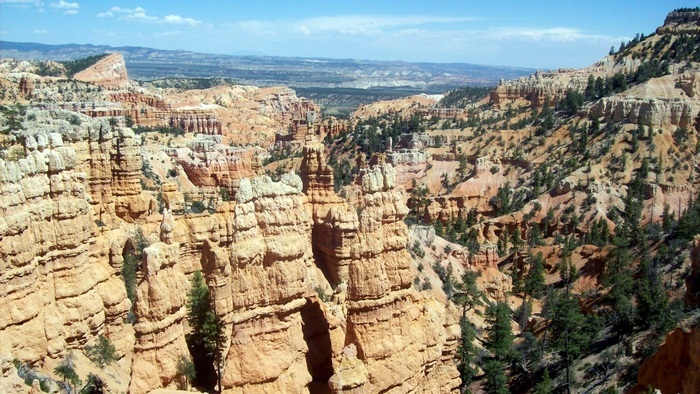 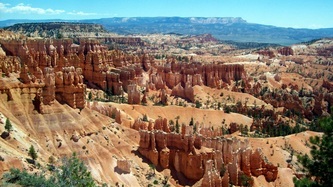 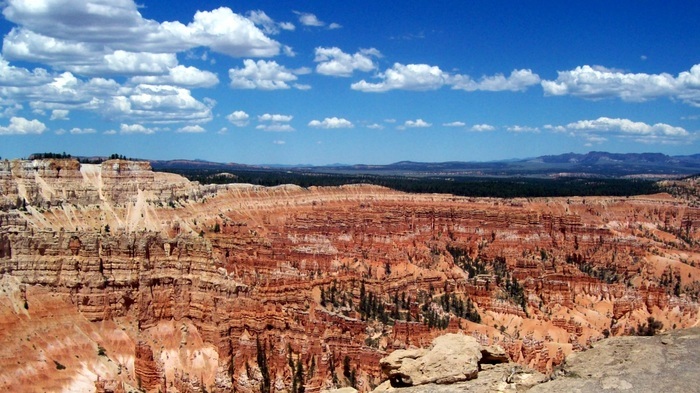 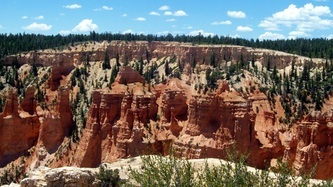 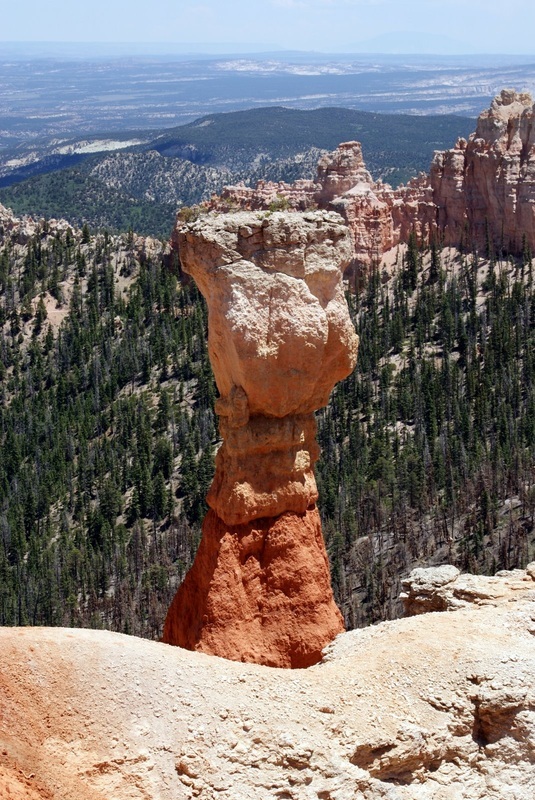 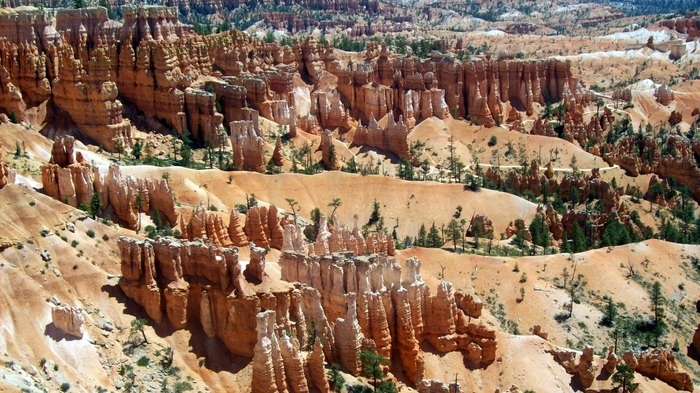 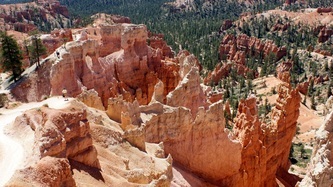 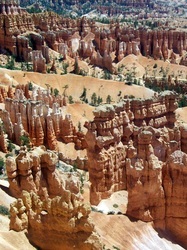 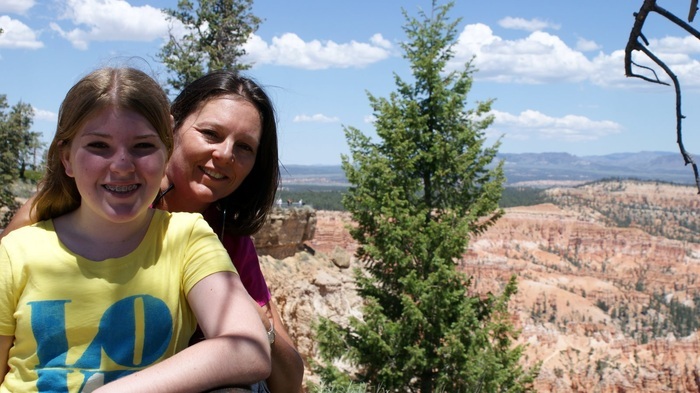 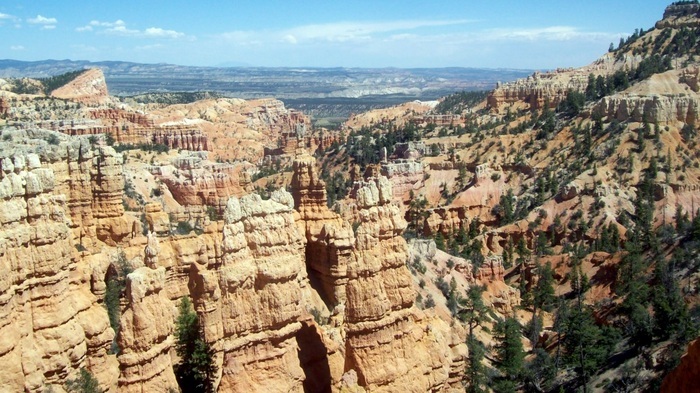 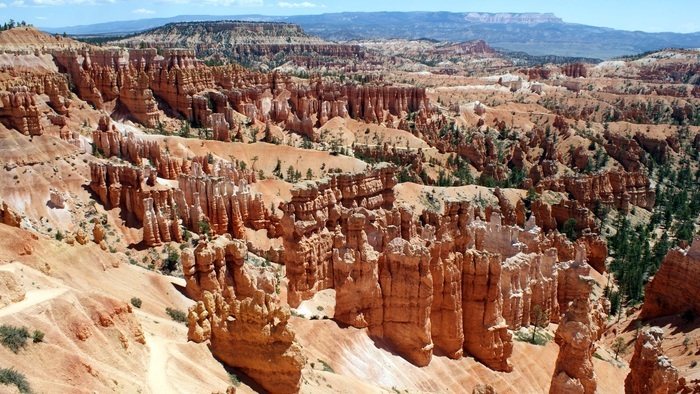 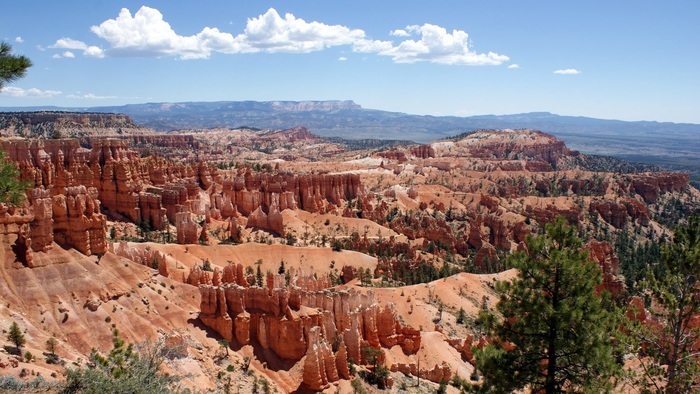 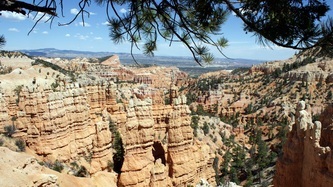 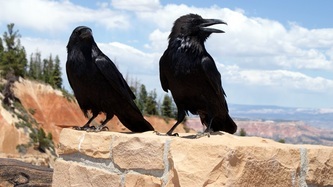 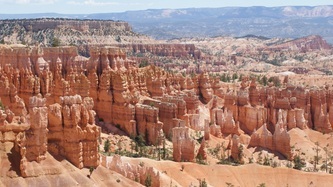 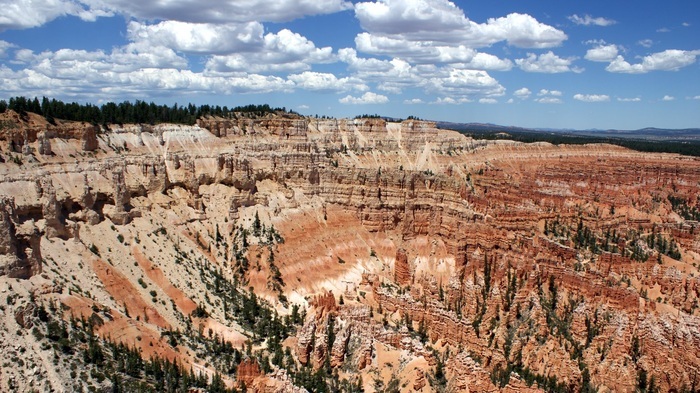 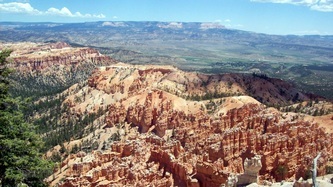 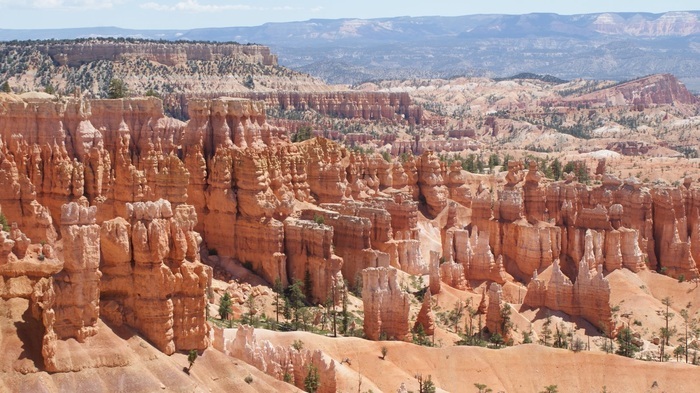 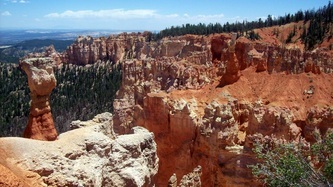 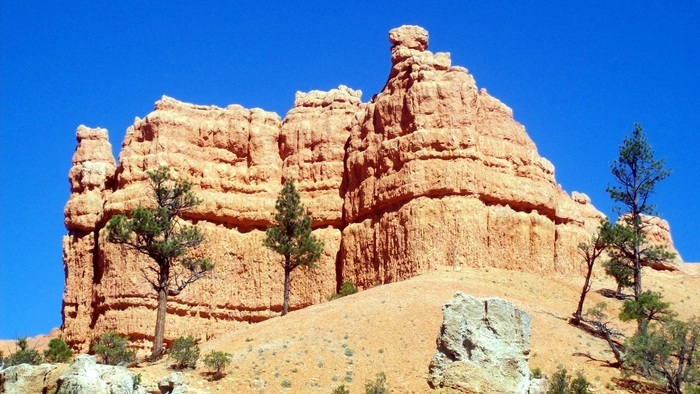 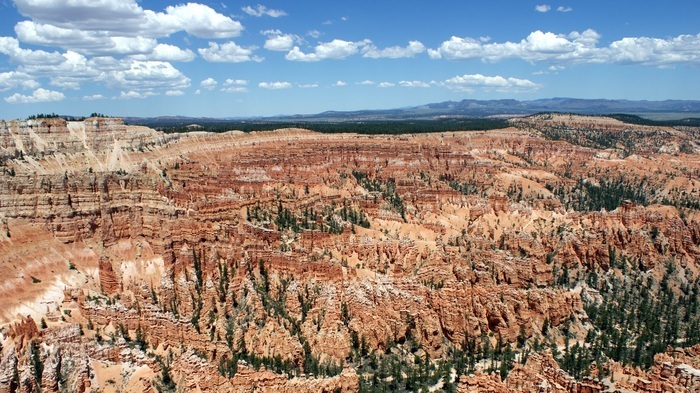 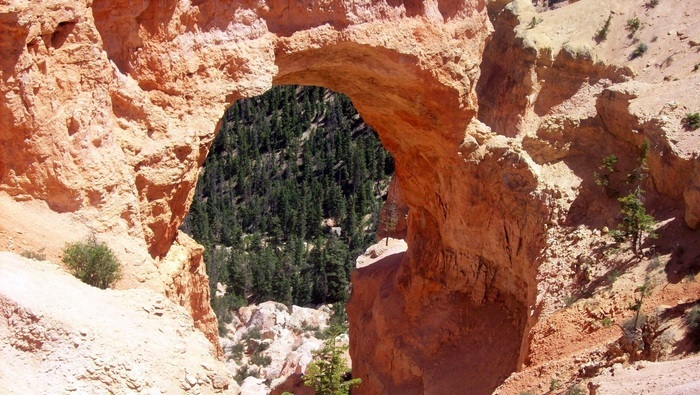 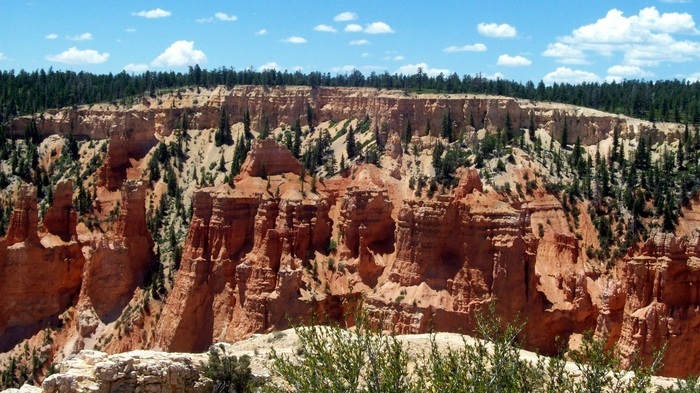 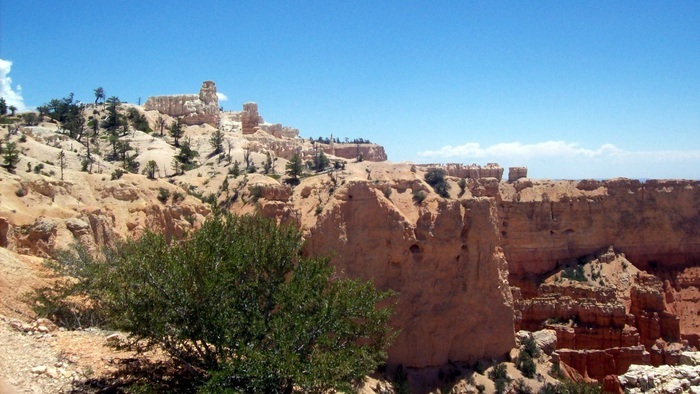 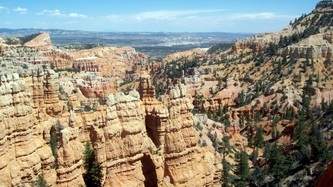 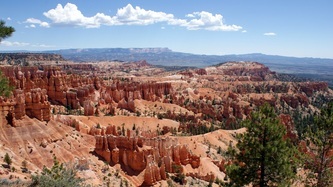 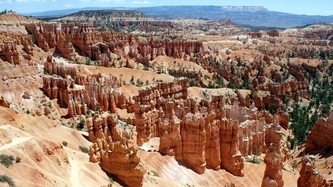 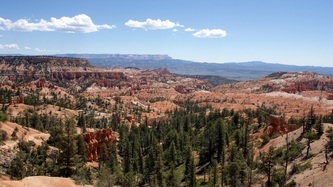 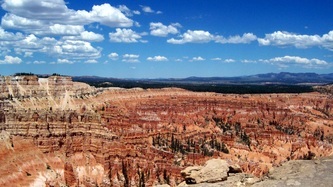 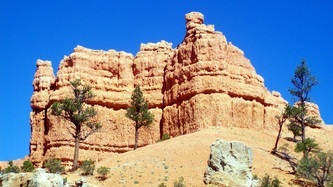 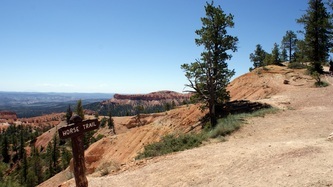 Today it was about 2 hours up to Bryce Canyon. Routes 89 and 12 were very scenic as we got closer to the park, and Red Canyon in Dixie National Forest was especially cool. Supposedly it’s where Butch Cassidy hung out. 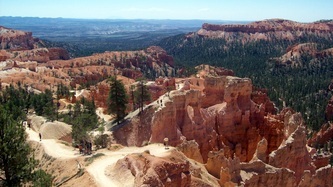 We had a driving tour of the park on the iPod and that was quite enjoyable. We drove from overlook to overlook, and had a picnic lunch at a table again. 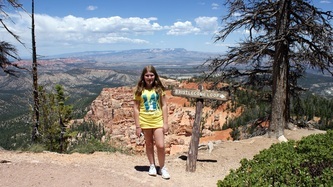 At the southernmost overlooks you could see quite a distance; over 100 miles on a clear day (which it wasn’t). 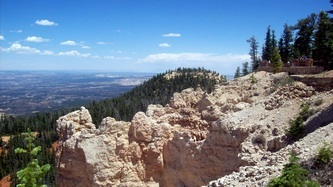 Temp was a balmy 85 or so and altitude up to 9000 feet. 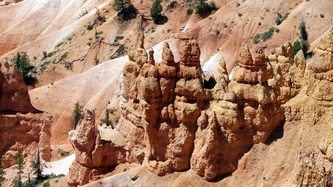 Enjoyed the hoodoos and long distance views for several hours, Jill recognized one family from the Rocking V Cafe the other night. 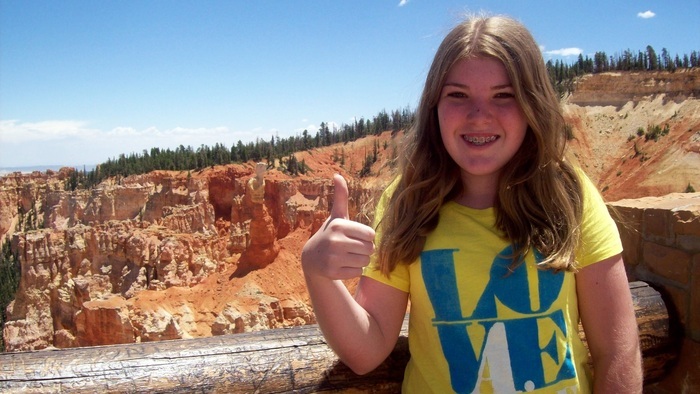 How does she do it? 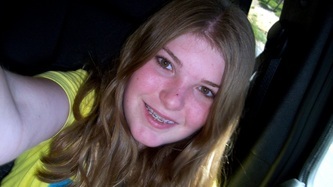 Kristen got a squirrel charm for her bracelet. 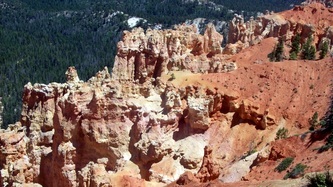 We don’t think we could live in the desert, too hot and dry and stark. I do like the lack of crowds, though. 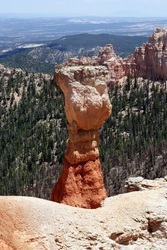 And also, as my friend Scott said, it’s too Mormon in Utah.